The Simple Collection explores living materials, purity of form and the quiet beauty of private spaces. 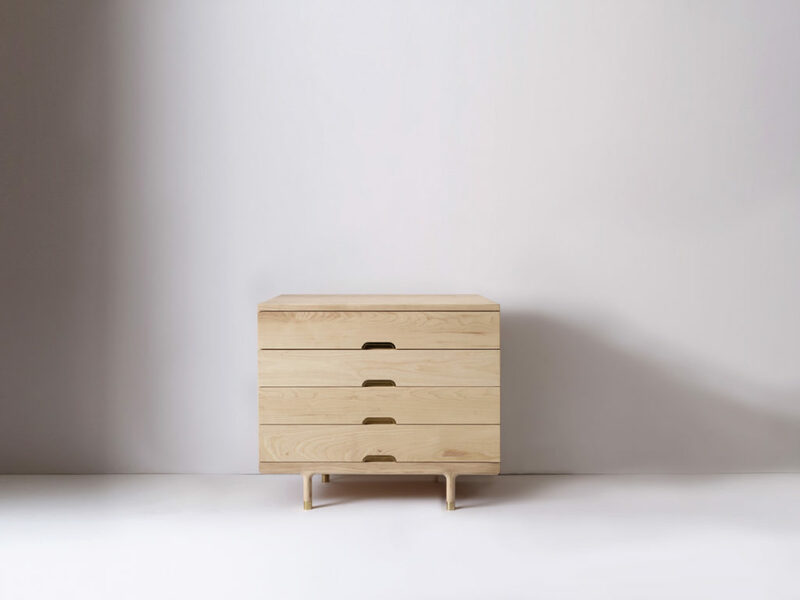 The Simple 4-Drawer Dresser is made from pure, honest materials including solid, oil-rubbed American Ash and solid machined brass. The unobtrusive beauty of the piece makes it ideal not only for the bedroom but for the living and dining rooms as well. Also available in walnut. Available in custom species or built to custom spec upon request. • Available in American Black Walnut, American Ash or in a range of custom species. 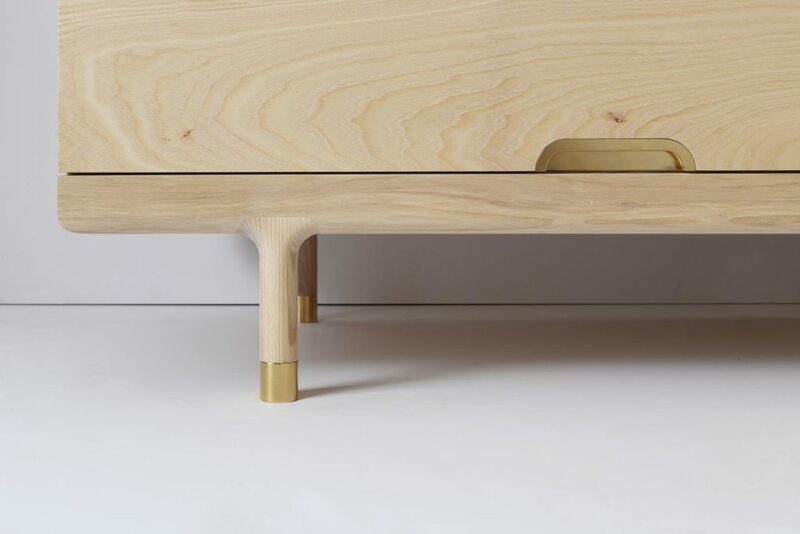 • Machined solid brass pulls and feet. • Wood-on-wood or soft-close drawer slides. 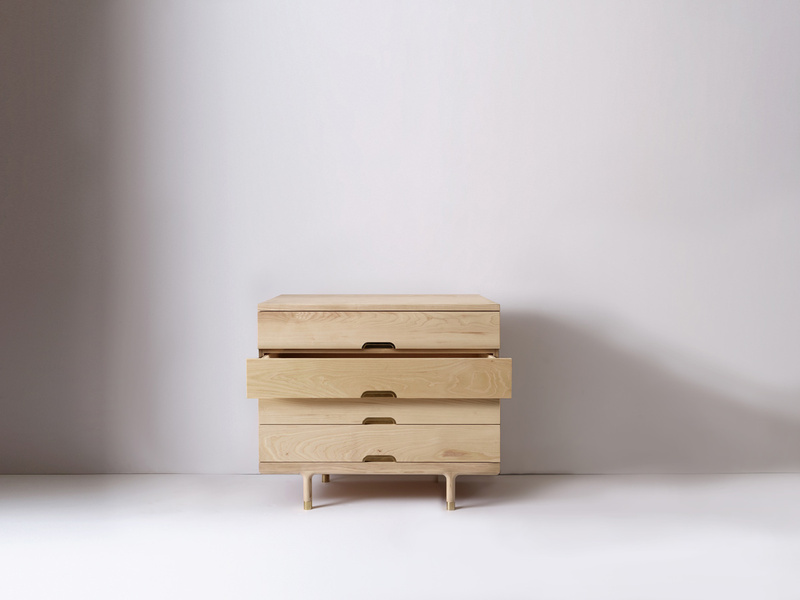 • Drawer boxes are made of solid wood with a backstop for 3/4 extension. • Drawer base is solid wood veneer-ply. • Back panel is made from ash-faced, solid wood veneer-ply for maximum dimensional stability. • Finished with SCS Indoor Advantage Gold Certification premium organic oil/wax finish. This item is made to order with an estimated lead time of 6-8 weeks. Design for a sustainable culture. A perfect marriage of beauty and utility, Kalon is known for simple, functional forms and a quiet, understated aesthetic. Impeccably crafted from durable and time-tested natural materials, each piece is thoughtfully designed with a focus on detail, material and experience. Kalon's practice stems from a belief in the simple beauty and emotive quality of everyday objects. Kalon works mostly with wood. Pieces are built by master craftsmen in the United States using a mix of traditional and highly technological methods. All materials are sustainable and domestically sourced.